While many people search for a solution to a pestering insect problem, Kenzie Wade, junior in anthropology, looks at insects as the solution to a more complex problem. Wade said she saw the crawling creatures as exciting opportunities. She said she hoped to transform her bug-eating school project into a growing business. “I would like to bring food sustainability to cultural preservation,” Wade said. According to Wade, she had to choose a topic and write a blog from her environmental anthropology class. 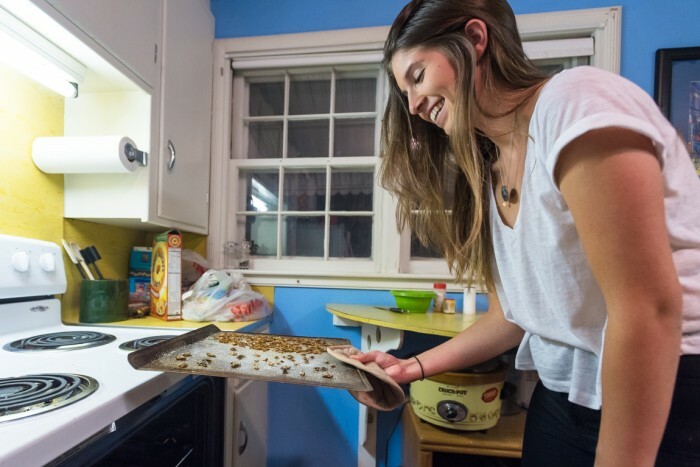 Wade used the assignment to pursue her interest in food sustainability by eating insects, or entomophagy. Wade is from Bakersfield, California, where ideas such as entomophagy are starting to be accepted. Thinking about all that we do eat, it just seems weird to not eat insects, said Wade.